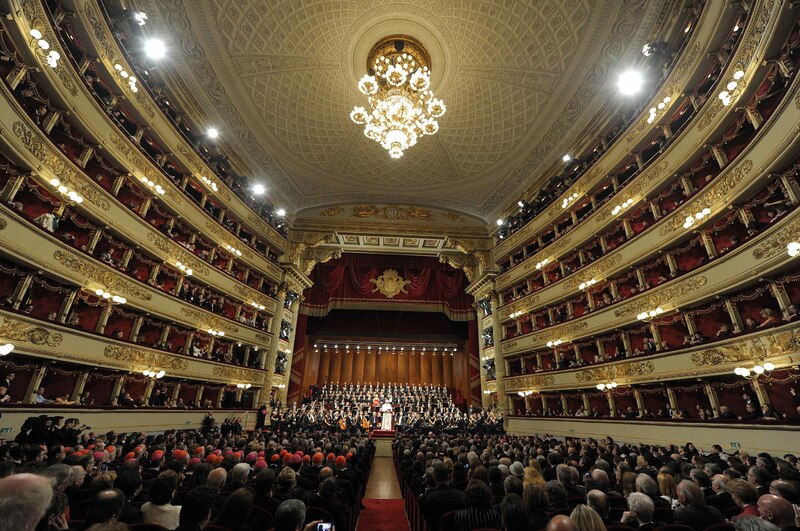 On this day in 1737 the Real Teatro di San Carlo was inaugurated (with a performance of Achille in Sciro by Domenico Natale Sarro, for those of you who like to keep track of that sort of thing). Predating the (now) more famous La Scala and La Fenice, San Carlo opened on the feast day of the saint with whom the emperor and patron, Charles VII, shares his name. Originally designed by architect Giovanni Antonio Medrano and the opera director Angelo Carasale, it has, of course (being an opera house, the most living-on-the-edgiest buildings in pre-Industrial history), burned down a few times, and then been rebuilt, most recently by Antonio Niccolini in 1817. But its general lines maintain the original design of a soaring interior space comprising six rings of gallery boxes around a broad central seating area; the whole thing can accommodate up to 3,000 people, making it the largest opera house in the universe at the time; it remains today also the longest operating opera house in the universe. Recently it was treated to a $90 million restoration (re-opening in 2010 on Mozart’s birthday–nice touch), making it as glittery and brilliant as ever. With its rich gilt architecture, profuse ornament (really looking at that royal box is a day’s work right there) and frescoed ceiling, it is a stunning setting for opera as well as an appropriately grand monument to Naples’ role in the world of opera as well. This short film shows in just a few minutes how the architecture and music fit together so brilliantly: a wonderful instance in which the building and its song live up to one another. 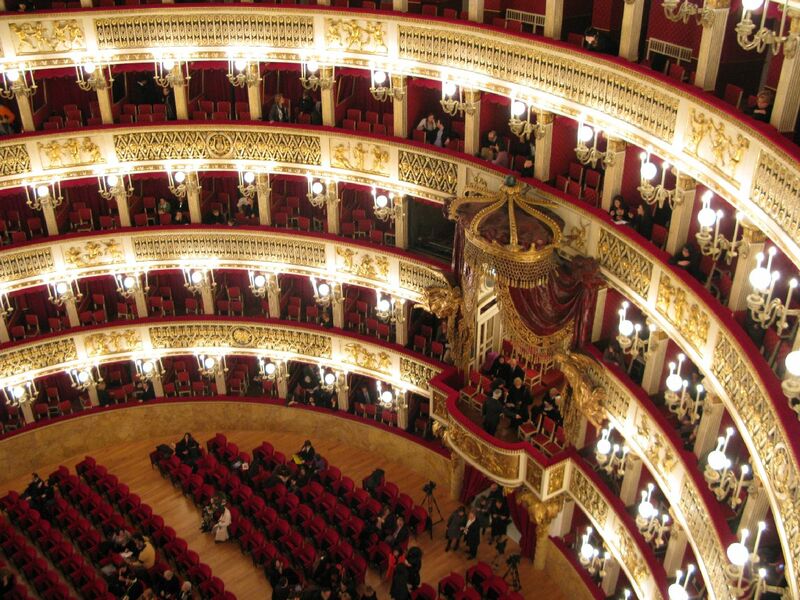 You are currently reading November 04: Teatro di San Carlo at Clio’s Calendar: Daily Musings on Architectural History.